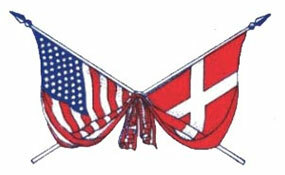 The Midwest Danish American Chamber of Commerce is a non-profit organisation. The chamber not only covers Chicago and Illinois, but also includes Indiana, Iowa, Kansas, Kentucky, Michigan, Minnesota, Missouri, Nebraska, North Dakota, Ohio, South Dakota and Wisconsin. The main activity of the Danish American Chamber of Commerce is to create interesting and relevant events and networking opportunities for our members and we are always open to requests or new ideas from our members. Seeing that the chamber is financially self-supported, the activities are exclusively out of interest and voluntary work of its members, the secretariat and the board of directors. This also means that the chamber's existence is based on membership fees, sponsorships and donations. Please feel free to contact us with questions, comments, suggestions, ideas, requests, feedback, etc.